Blackburn Creek is a 150-acre site, with a 30-acre pond, with many opportunities for viewing wildlife. It is very interesting to walk around the pond and alsp view Beaver Lake from this elevated area. The Bluffs are spectacular to see! The Arkansas Game and Fish Commission release fingerling game fish from the Blackburn Creek Nursery Pond by the millions, into the clear, blue waters of Beaver Lake. Blackburn Creek Pond is the first on-site rearing pond in this area. Fishery Biologists and other specialists in the field work hard to keep Beaver Lake in the forefront of fish production. Take Arkansas Highway 12 east out of Rogers, Arkansas. Drive eight miles to Key Road then turn south. Go 2.5 miles to a cable gate. Park here and walk to the pond. By water it is located at the mouth of Blackburn Cove on the Left side. Look for the concrete discharge area. Park your boat here and walk up to the pond. Wildlife are present all along the shores of Beaver Lake, but the shallow waters of Blackburn Pond are an excellent spot for seeing mallards, gadwalls, blue- and green-winged teal, Canada and snow geese, great blue herons, white pelicans and common loons. Beaver Lake draws pied-billed and horned grebes, common goldeneyes, buffleheads and bald eagles. There are rare visitors observed on the water, such as mergansers, long-tailed ducks (oldsquaws), greater scaup, western grebes, Pacific and yellow-billed loons, surf scoters, marbled godwits, tundra and trumpeter swans and black-legged kittiwakes. spring and fall are the best times to visit… when migrations are in progress. The reared fish are harvested In fall, and then the pond is drained, sown in rye grass and refilled to attract wintering ducks. 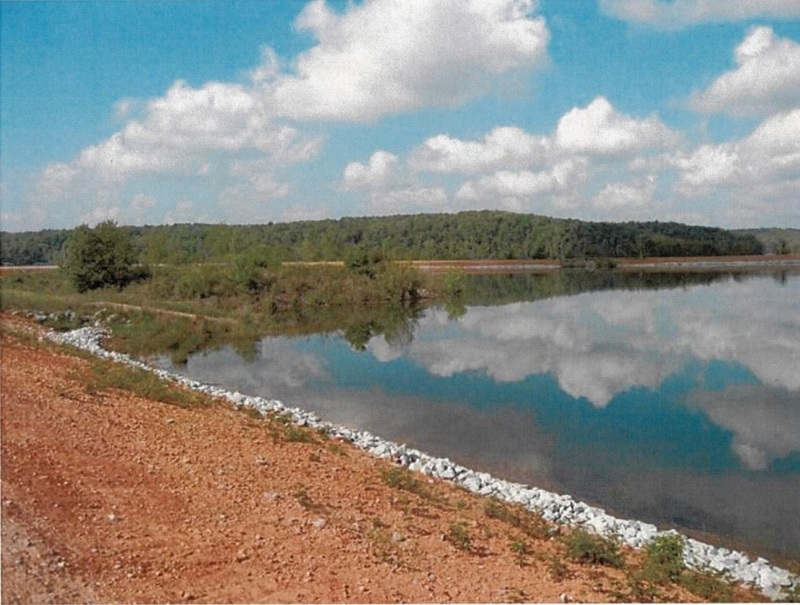 There are plans by the U.S. Army Corps of Engineers to build an elevated viewing platform that will overlook the pond. Food plots to attract wildlife along with nesting boxes to draw eastern bluebirds, wood ducks and kestrels.